This is a Bring Your Own Controller/Console event. Please feel free to bring your own setups, stations, or controllers. All ages welcome. Join us at the University of Manitoba, University Centre March 23rd for March to Battle! Pre-Registration will save you $5 off of your venue fee and will help brackets start sooner and give the TOs information to work with prior to the event and speed up the registration process. This information can also help us better schedule and accommodate future game lineups. The event will be taking place at Room 220 – 224 in University Centre at the University of Manitoba on March 23rd, 2019. 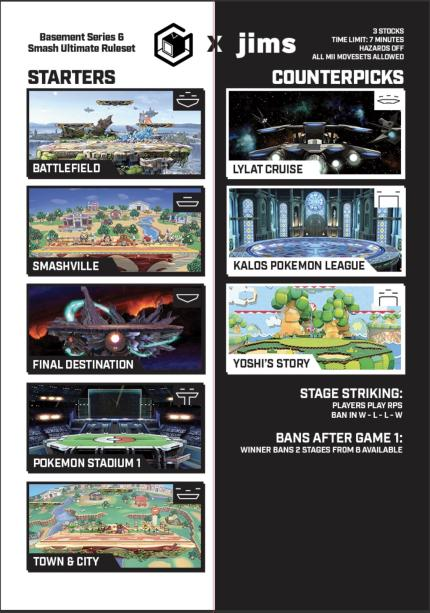 Smash Ultimate schedule and lineup is TBD. Check the [facebook event!] (https://www.facebook.com/events/367544800488728/) page for the latest details! – Double elimination tournament brackets with be best two out of three matches. – Grand finals, Winners, and Losers finals are three out of five. – Winner keeps same character, loser may switch character. Blazblue Cross Tag Battle, Super Street Fighter II Turbo, and Mortal Kombat XL are the only exceptions. They are 3/5 sets throughout the entire bracket. Before game 1, both players do a double blind pick for all three of their characters. In other words, both players tell a neutral third party who they’re playing so that neither player knows what their opponent is picking when their characters are chosen. This is done to prevent countering your opponents character selections before the set has started. This is not necessary if both players trust each other or if both players just don’t want to do a double blind pick. After game 1 and onwards, the character selections will be in snake-style, meaning that the winner of the previous game selects their first character, then the other player selects their first character followed by the winner of the previous game selecting their second character and so on until all characters have been selected. Players do not have to say what order their characters will appear in the match.